Honda really made its name in the U.S. with the little Civic hatchback in the ’70s, which later grew to be a well-rounded family of sedans, wagons, hatches, and coupes; but recently there’s been a notable absence of hatches in Honda’s car lineup. The Civic has gradually grown into a larger size and price class than it was originally placed into, and the Gen-Xers who slammed Civics and arguably started the aftermarket craze in the ’90s now have kids and family gear in tow. And the Civic’s clearly aimed at an older crowd now; Honda brought the last-generation Civic here in low-volume Si trim, and the automaker has no plans to bring the stunning four-door hatch version of the current Civic to U.S. shores. 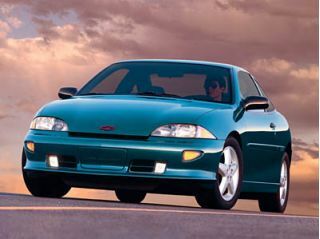 This leaves a gap in the market that, with small cars and hatchbacks on a bit of a comeback, otherwise amounts to a loss of young, entry-level buyers to brands like Kia/Hyundai, Toyota/Scion, and others. 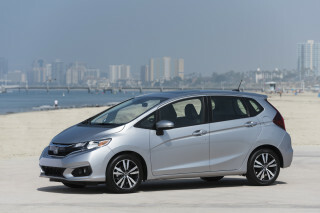 So Honda is bringing in a new entry-level model, a tall little hatchback called the Fit. Due to dealerships beginning later this month, the Fit is about three inches narrower and 19 inches shorter than the current Civic. But it’s not really that small; the Fit is about seven inches taller, seven inches wider, and 18 inches longer than the original 1973 Civic. But it’s about the same size, all around, as the Civic “Wagovan” of the late ’80s and early ’90s. But to be perfectly honest, the Fit looks a little bland on the outside for a car that’s targeting youthful buyers; and to some American eyes, the proportions are just a little strange from some angles. Pictures don’t do the Fit’s shape much justice either — they tend to exaggerate the front-end’s bluntness and the bulbous headlight enclosures. On a walk-around, the shape comes into its own, but out on city streets the Fit’s shape and style probably won’t be elevating many pulses. There’s some nice detail work, though; all U.S. Fits have their headlight housings tinted to match the body color, which helps the mammoth headlight housings look, well, a little smaller. In other parts of the world, the Fit isn’t new. The latest generation has been around for several years and has found a loyal following in Asia and also carved a larger market share for Honda in Europe , where it’s called the Jazz. In those overseas markets, the Jazz or Fit is offered with engines as small as 1.2 liters and there’s also a shiftless CVT available. For the U.S., the Fit gets only the global small car’s top existing powertrain — a SOHC 1.5-liter in-line four with VTEC variable valve timing and an electronic throttle, making 109 horsepower (with the new SAE standard) and 105 lb-ft of torque. 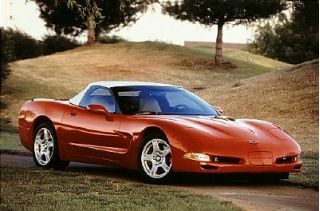 The engine can be paired with either a standard five-speed manual or optional five-speed automatic transmission. By today’s standards, 109 horsepower sure isn’t much, but since the base Fit weighs less than 2500 pounds it’s surprisingly adequate and peppy. The engine is very responsive, but the big surprise is that it’s not much of a high-revver. It’s tuned more like the 2.4-liter in the Accord, CR-V, and Element, with a very meaty mid-range. Unlike some other Honda VTEC engines, the 1.5 doesn’t reach a pronounced “second wind” at a certain rpm — the second cam lobe kicks in at around 3400 rpm, but the transition is rather uneventful. Redline is 6500 rpm, rather low for a Honda four. Peak torque comes at 4800 rpm, and past that you’ll trade off more noise than additional power; it’s definitely happiest when kept in the 2000 to 4000 rpm range, but it will lug along without complaining in fifth gear from about 1500 rpm. Honda engineers have tuned the throttle separately for the U.S. market with a non-linear but more satisfying response, with a more aggressive opening to half throttle, combined with a gentle tip-in. 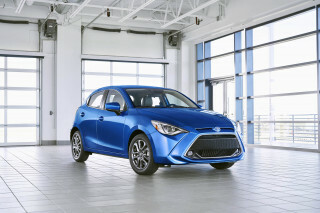 What this nice powertrain flexibility means is that you don’t have to concentrate as much on keeping the revs up in ordinary traffic as with some of the Fit’s small-car competition, like the Yaris. If you like doing all the shifting for yourself, the Fit’s five-speed manual feels like a precision instrument and neatly snicks into each gear. The big, substantial shift knob combines with rather short throws to help make the shifts confident, and it looks great with the rubber accordion-style shift boot. The Fit’s optional automatic is the segment’s only one with five speeds, which allows a wider range for a lower first gear and higher top gear than is typical. As opposed to some other automatics, the torque converter can lock up in any gear to help improve fuel economy. 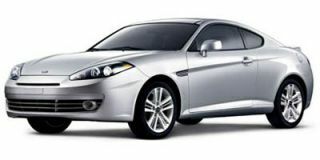 The Sport model adds paddle shifters alongside the steering wheel, like those seen in more expensive performance models. The paddle on the left controls downshifts, while the paddle on the right commands an upshift. Unique to this model is a so-called Smart Paddle system, in which, with the shift knob in ‘D’ you can use the paddles to shift through the gears, but then after ten or fifteen seconds if you’re driving gently it will automatically shift up to the highest possible gear and resume normal automatic mode. Shift the knob to the Sport mode (‘S’) and the transmission will stay in whichever gear you selected with the paddles for full “manumatic” control. For a budget-priced tall hatchback with a torsion-beam rear, the Fit Sport handles much better than expected, on its 195/55R15s. There’s actually quite a bit of road feel transmitted back to the driver through the steering, which has electric power assist, and the suspension loads and unloads through aggressive cornering without any surprises. We didn’t drive the standard Fit, with its 175/65R14 tires, but we were told that it doesn’t have any significant suspension-tuning differences. Brakes are nice and firm; we noticed no noticeable fade on a couple of quick stops from 60 mph, even though it’s just drums in back. Four-channel ABS with electronic brake distribution (EBD) is standard. Along with hydraulic engine and transmission mounts, the Fit gets additional noise-isolation material in the roof, dashboard, and wheelwells, and claims to offer a quiet interior that’s comparable to a class higher. It’s true, it’s remarkably vibration-free inside, but there’s still some engine noise at highway speeds and also some road noise on the more coarse surfaces. It certainly helps that the tall fifth gear keeps revs around 3000 rpm at 65-70 mph. The interior feels much nicer than expected from an entry-level model. The instrument panel is basically what we’ve become accustomed to on Civics, with a central speedometer flanked by tachometer and fuel gauge (there’s no temp gauge), and blue backlighting at night. A maintenance-minder system triggers various service lights depending on vehicle usage, as told by the engine control computer. Switchgear is mostly standard-issue Honda, with everything well within reach. Nice surfaces and soft edges are used throughout, and everything from vent louvers to sound-system controls all have a nice feel. The Fit’s driving position is similar to that in most other newer small cars — you sit rather upright, with an expansive dash area ahead. The view ahead doesn’t include much of the hood, but you do see the MPV-like triangular mini-windows up next to the A-pillars. Seating is perhaps the major selling point for the Fit, and where it shines versus the competition. In front and in back, the seats are among the best we’ve ever experienced in a small car. Front seats have far more adjustability than is typical, with the lower cushions configurable enough to both scoop shorter drivers up and forward yet also crank back and down to support long-legged drivers like myself. The bench arrangement in back is of course very narrow, only enough for two adults side to side, but there’s an astonishing amount of headroom and legroom — practically, more than many mid-size sedans. The cushions are firm yet ample, too. This might be hard to believe, but it wouldn’t be punishment to have normal-size adults sit back there for an hour or two. 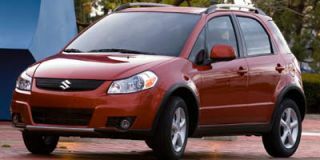 The handy, smart way the interior can be reconfigured minivan-like is unrivalled by other vehicles of its size. With all of the seats upright and in place, there’s the aforementioned space for four adults (or five, if you count three small children in back), and in back there’s barely enough space for a row of three or four grocery bags, without stacking them. If you need cargo space more than space for your passengers, the back seat will go into one of several positions and is split 60/40 in case you have one passenger for the back. The rear seats can fold into a recess to make the cargo floor completely flat. The passenger seat can recline down to the floor to expand the continuous cargo-floor distance on one side to seven feet, ten inches (enough to fit a surfboard). Then there’s also a “tall mode,” in which both cushions of the back seat lock in a vertical, upward position to offer two separate vertically biased cargo areas. The frontmost of those areas, just behind the front seat, is for tall items like potted plants, or a bicycle with the front wheel removed. Finally, there’s a “refresh mode,” in which the front seatback folds down to meet up with the rear cushion, making a continuous space maybe not long enough for sleeping or other horizontal activities, but enough for sprawling out legs (working on a laptop was shown). One of the reasons for the incredible amount of space is that Honda engineers designed the seats from scratch for the Fit, not from the existing parts bin, and decided to relocate the fuel tank underneath the front passenger seat, in an area that in most cars is unused space, so that the cargo floor could be as consistently low as possible. 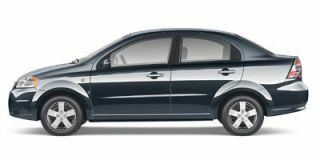 In virtually all other small cars, the fuel tank is located below the rear seats. Next to the competition, the Fit shows these packaging strengths quite dramatically. 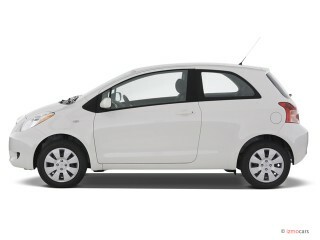 When we tested the Fit, we were able to compare it to both a Chevrolet Aveo and Scion xA. The Fit’s interior offered much more comfort for front and rear occupants than either of the other cars, and noticeably better cargo capacity. , the Fit felt minuscule despite having such a tall profile. So safety is of course a concern. 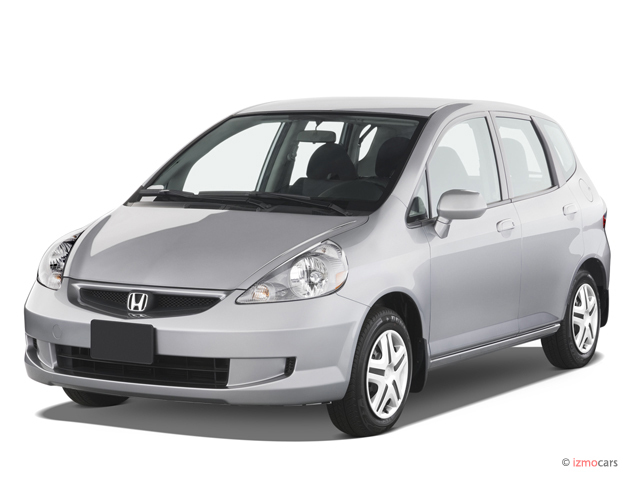 Honda says that for bumper height and crumple zones, the Fit adequately matches with its Ridgeline in a head-on crash. Side airbags in front are standard, along with side-curtain bags that cover front and rear occupants. The front airbags are dual-stage, dual-threshold to accommodate various occupant sizes. Honda anticipates that the Fit will get five stars in NHTSA frontal crash tests and a rating of “Good” from the IIHS. You’d expect absolutely stellar fuel economy from a little Honda, but the Fit’s ratings of 33 mpg city, 38 mpg highway aren’t too impressive — and not any better than those of the ’06 Civic. Chalk it up to the tall body perhaps? The Fit is offered in a two-tiered system, with a very small number of factory options, if any. 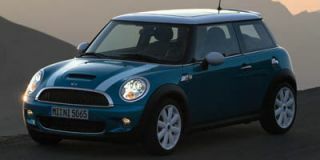 The standard Fit includes air conditioning, a rear wiper/washer, power windows, mirrors, and locks, a 160-watt, four-speaker AM/FM/CD deck, and lots more standard equipment, like a tachometer, that’s optional or not available on some cheaper small cars. Fit Sport adds the paddle shifters on automatics, a rear spoiler and underbody kit, cruise control, fog lamps, 15-inch alloys, and a 200-watt system with six speakers, MP3 capability, and mini-jack input. Honda is pitching the Fit for a base price of over between $13k and $14k, several thousand more than the entry prices for most of the competition — including the Toyota Yaris, Chevrolet Aveo, Kia Rio, and others — on the premise that Fit’s greater level of standard equipment, and smarter packaging more than makes up for the price difference. Honda is expecting that 60 percent of sales will be Fit Sports, which will sell at about $1400 more than the standard Fit. As with Toyota’s Scion models, Honda will be offering plenty of dealer-installed accessories on the Fit, including lighting add-ons, shift knobs, steering wheel covers, a Honda Factory Performance exhaust muffler and tip, and other appearance add-ons. Once ramped up, Honda is hoping to sell 50,000 Fits a year over here. We think that’s reasonable, but it might be tough to bring buyers past the super-size mentality even if gas prices continue to creep up. Outside of frugal commuters, students getting help from mom and dad, and young urban buyers with loft spaces and “compact only” parking, most Americans still think that, within reason, bigger is better. This reviewer has driven (and owned) many cheap econoboxes over the years, and the Fit manages to stand out as one that’s very cleverly packaged and offers surprisingly satisfying performance. 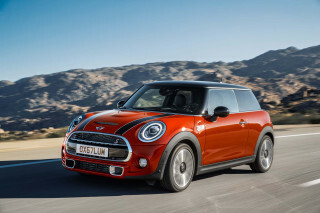 This is a subcompact car that feels substantial beyond its little footprint. All said, the Fit doesn’t especially stand out from the crowd until you take a closer look, check out the seats, and take a test drive. We’d recommend that, because the Fit seems to be one of those cars that’s more endearing the more exposure you have. But we’re still vying for that Euro-riffic Civic hatchback.